The Law Office of Jacob J. Sapochnick is delighted to introduce our very own legal assistant/client relations specialist, Ms. Catherine Nieto in our first staff spotlight. Ms. Nieto has worked with our firm since 2012 and is one of the very first people you meet when coming in to the office or calling our office. She is not only personable, but genuinely enjoys learning about our clients lives and situations. Bio: Ms. Nieto was born and has lived in San Diego, CA all of her life. Ms. Nieto’s passion for immigration stems from her family’s immigration to the U.S. many years ago from Mexico. Ms. Nieto is fluent in English and Spanish. Her knowledge of Spanish enables her to assist our Spanish speaking clients. Ms. Nieto attended San Diego High School and Southwestern Community College. Her responsibilities include assisting attorneys with immigration cases, which include: Marriage Adjustments, Naturalization, and Removal proceedings. Ms. Nieto helps to analyze case documents, completes paperwork, and maintains contact with clients. When Ms. Nieto is not in the office, she enjoys spending her free time with her Bichon Frise, Coco, and enjoys dancing, live music, reading, and cooking. 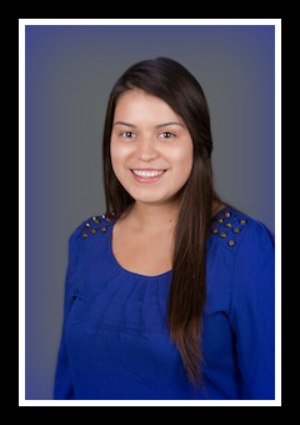 Ms. Nieto is an avid dancer and attended the San Diego Civic Youth Ballet.